Andrew graduated from Otago University in 1994. Following that he headed to the United Kingdom where he initially settled in Norwich. After two years working in a busy practice refining his skills Andrew moved to London and eventually began a long term associate position in Sevenoaks, Kent. Whilst living in London Andrew attended numerous post-graduate courses in a wide range of fields to expand his knowledge. 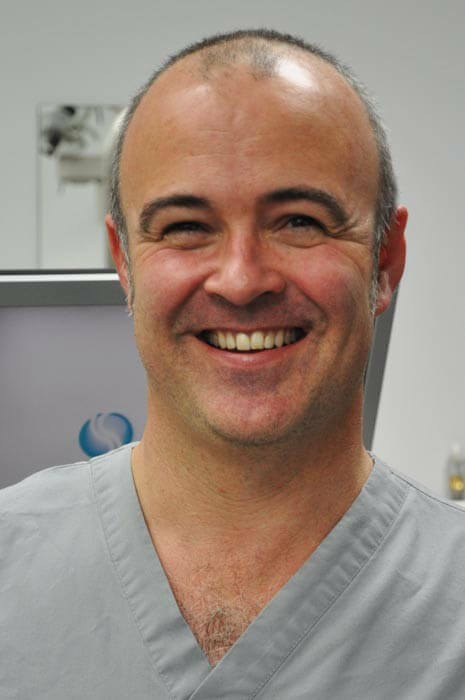 During this time he developed a keen interest in advanced restorative procedures, and in particular cosmetic dentistry and implant restorations. Andrew moved back to New Zealand with his family in late 2005 becoming a partner in Symonds Street Dental Centre in April 2006. He has since completed the training to be an invisalign provider. Andrew is married with 2 children who keep him busy. He gets out on the water for fishing and diving adventures as often as possible and loves a game of squash.